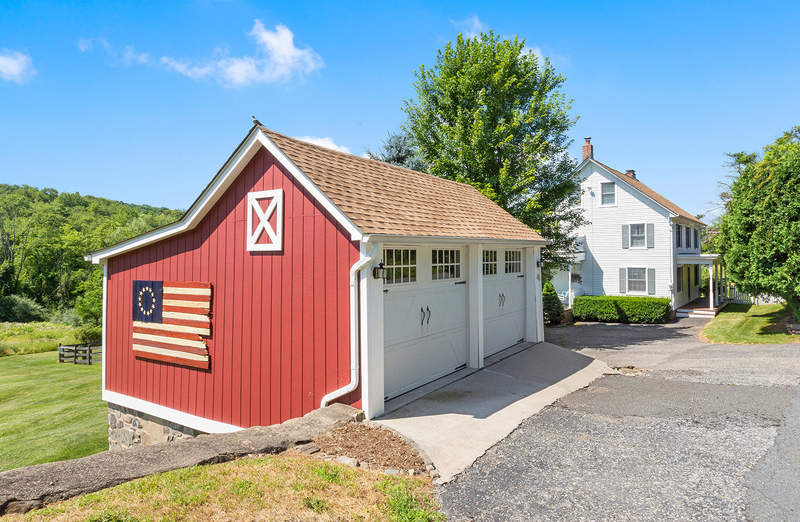 This sunny, updated 4 bedroom, 3 bathroom customized home is located on one of the most scenic country roads in Lebanon Township yet close to Califon and Oldwick. 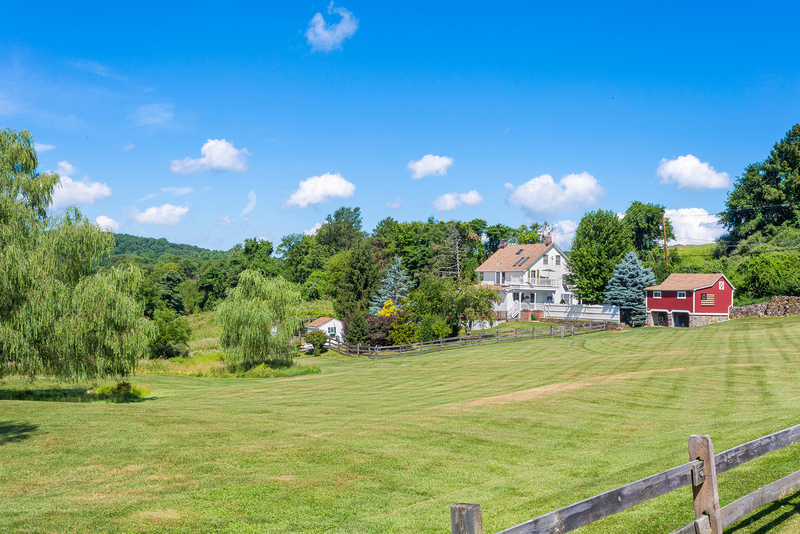 The house is thoughtfully sited on 6 acres with expansive views of the property and vistas in the distance. 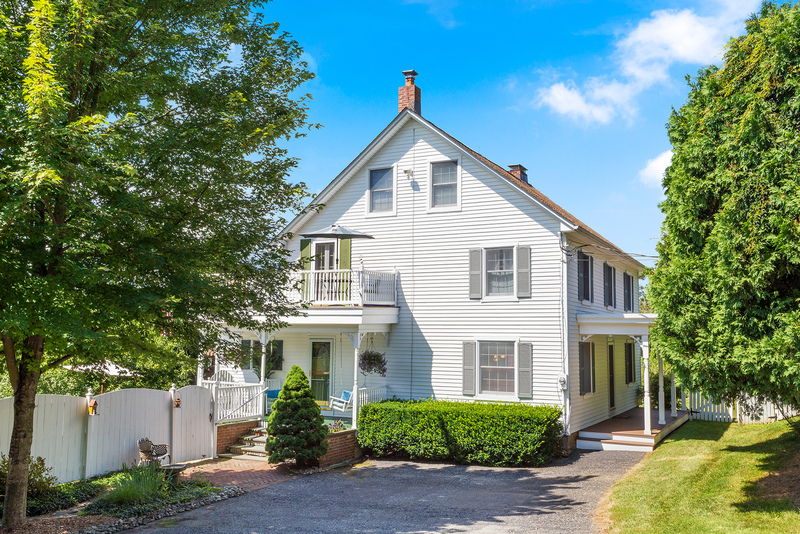 This property is perfect for a buyer who is looking for a home which is rich in history and will appreciate all the amenities the property has to offer. The home’s floor plan flows well for daily living while offering the spaces required for family gatherings and other entertaining. 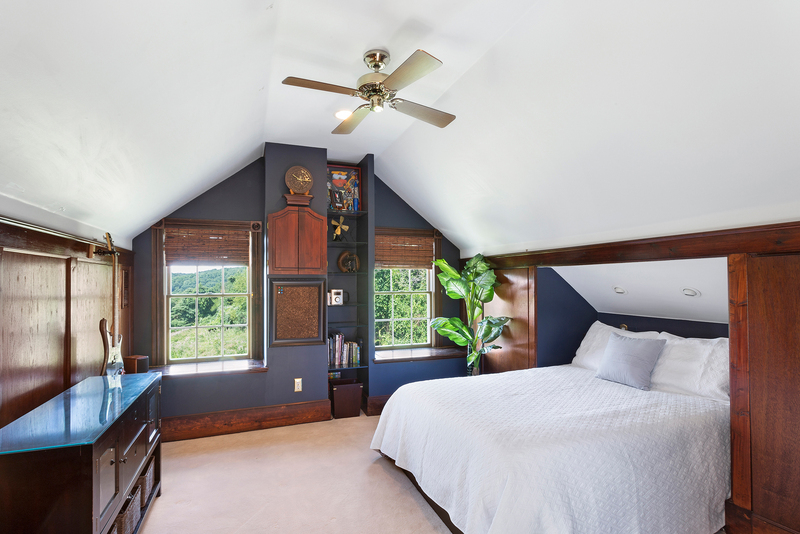 Generously-sized windows, skylights and recessed lighting bring natural and supplemental light into the rooms throughout the day. 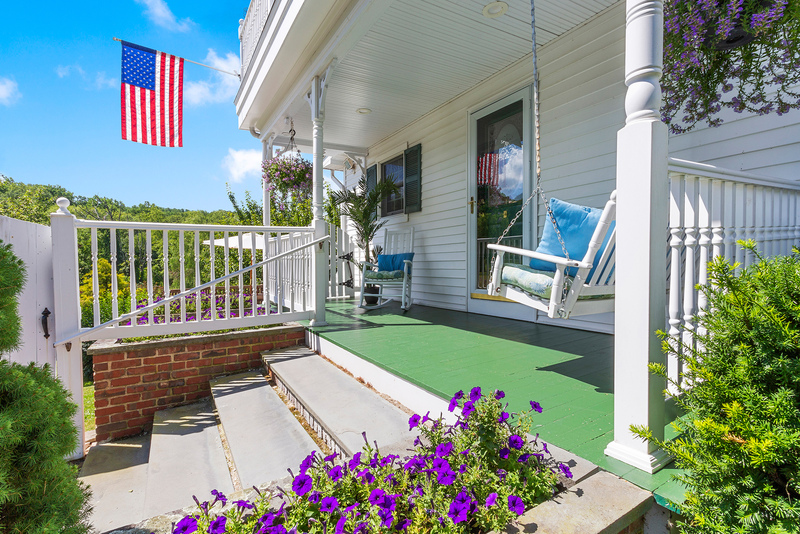 A deep, covered porch with a swing greets visitors at side entrance which leads into the home. The large eat-­in kitchen welcomes you and features custom maple cabinetry, extensive countertops, ceramic tile backsplash with accent tiles, a large skylight, recessed lighting, and suspended light fixtures. Appliances in the kitchen include a GE refrigerator, wall ­oven and built in convection/microwave, and a paneled dishwasher. 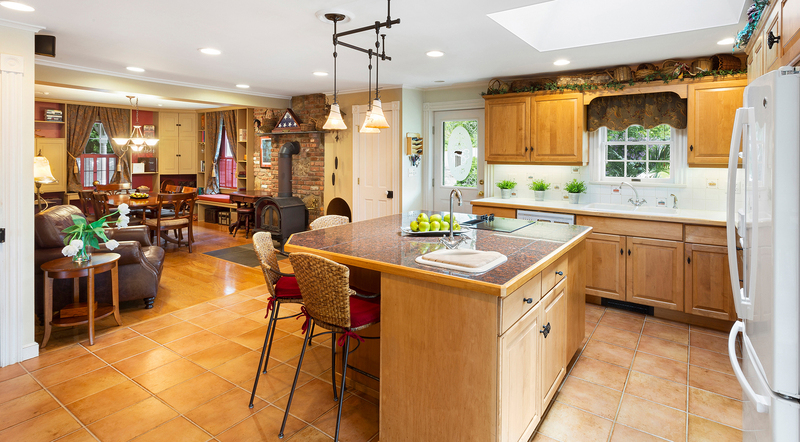 The kitchen’s large granite topped center island features a cooktop, work sink, breakfast bar and under­counter cabinets. 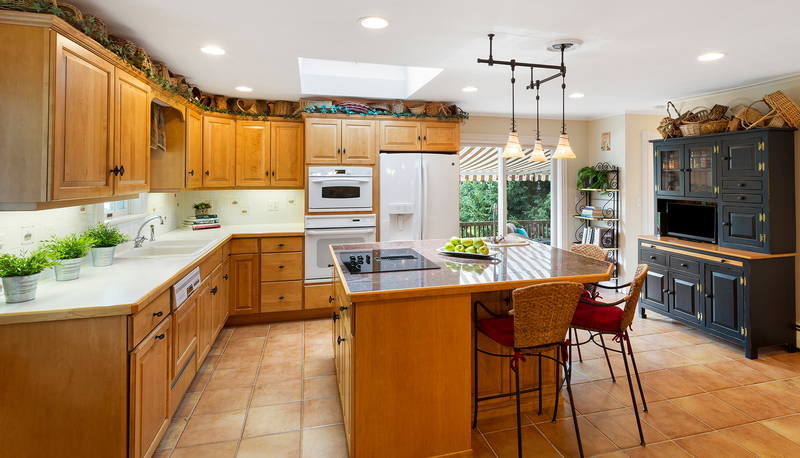 The kitchen connects to the dining room and family room and has sliding glass doors leading to the deck overlooking the in-ground pool and backyard. The large dining room connects to the kitchen with ample space for a large dining table and features two walls of built-in cabinetry, a window seat and a wood-burning freestanding stove. 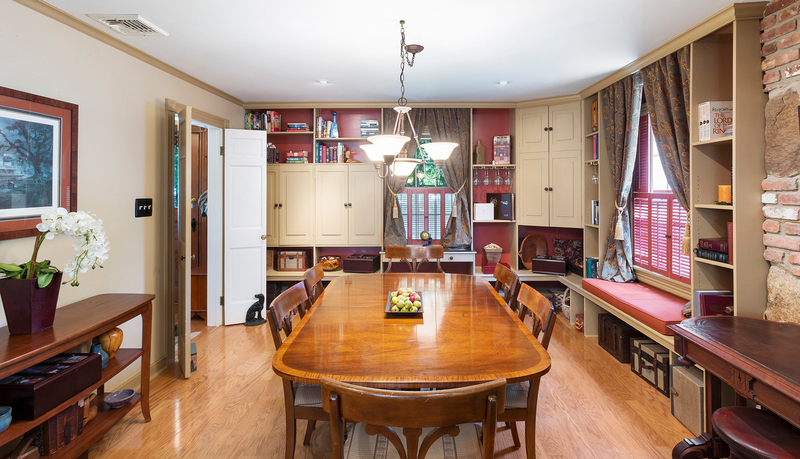 The spacious family room can be accessed from a pocket door in the kitchen or double wooden doors in the dining room. 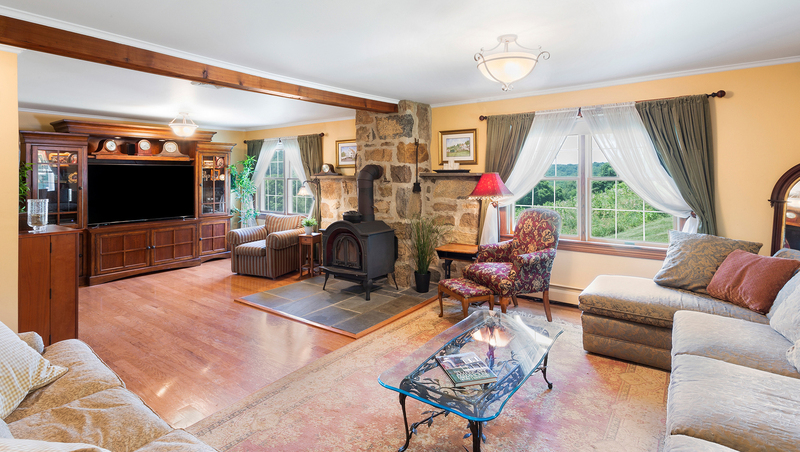 The family room is large enough for primary and secondary seating areas and features a wood-burning freestanding stove with stone surround, windows overlooking the side and front yards, and the main entrance to another covered porch. 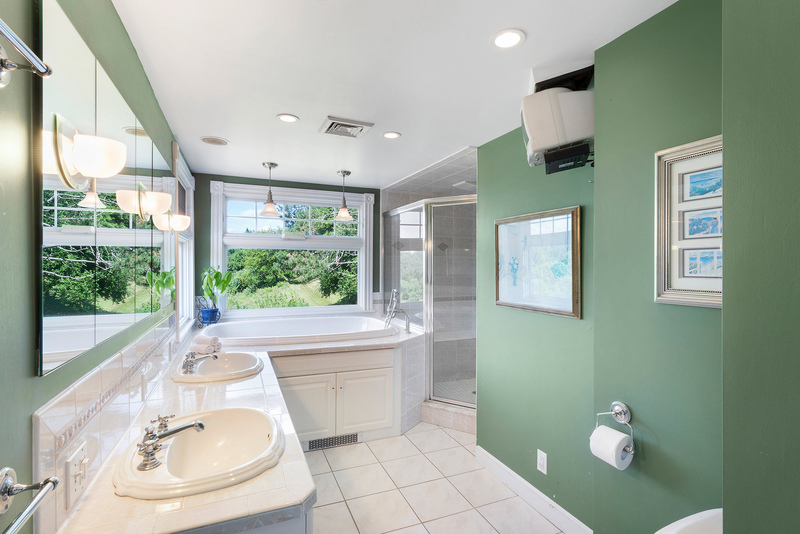 A laundry area and a full bathroom with a stall shower complete the first floor. The main staircase with original railings leads upstairs to the bedrooms. 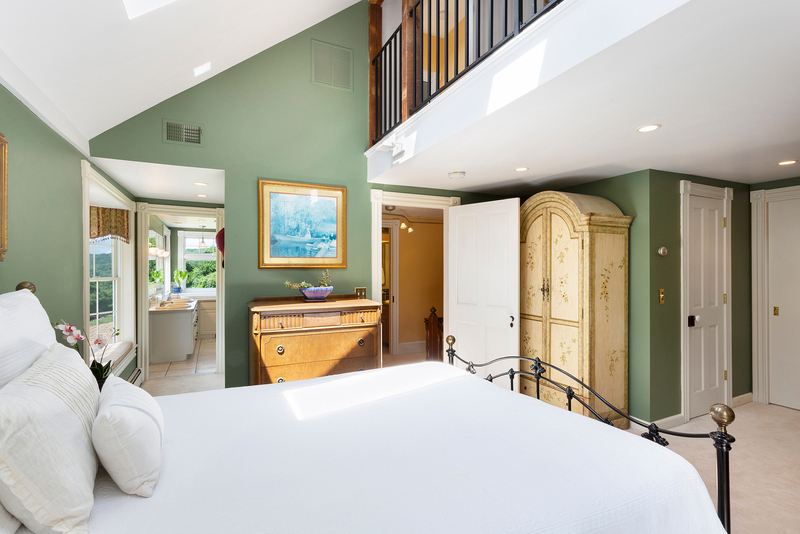 The spacious master bedroom suite with exposed brick features French doors to a private balcony, two large skylights, a cushioned window seat overlooking the backyard, a walk-in closet, two reach-in closets, access to a loft space and a large bathroom. 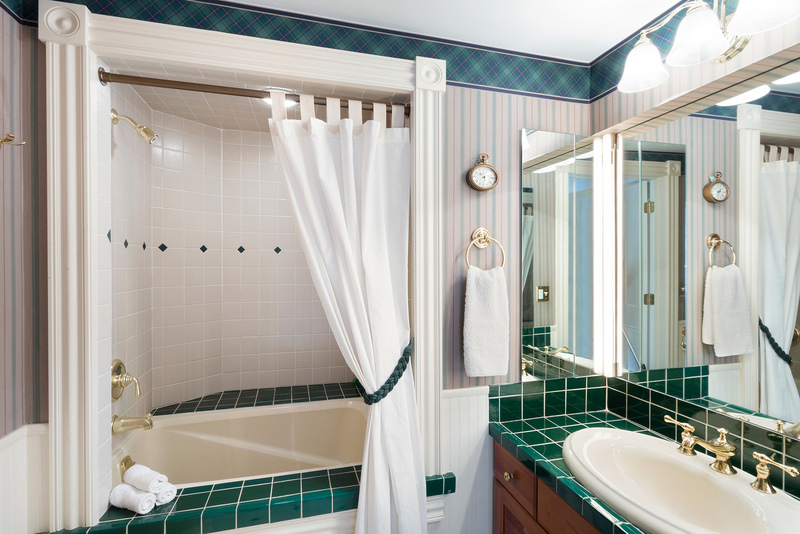 The bathroom features a deep soaking tub with two large windows allowing you to look out over the property, an oversized tiled shower and a double vanity with storage. 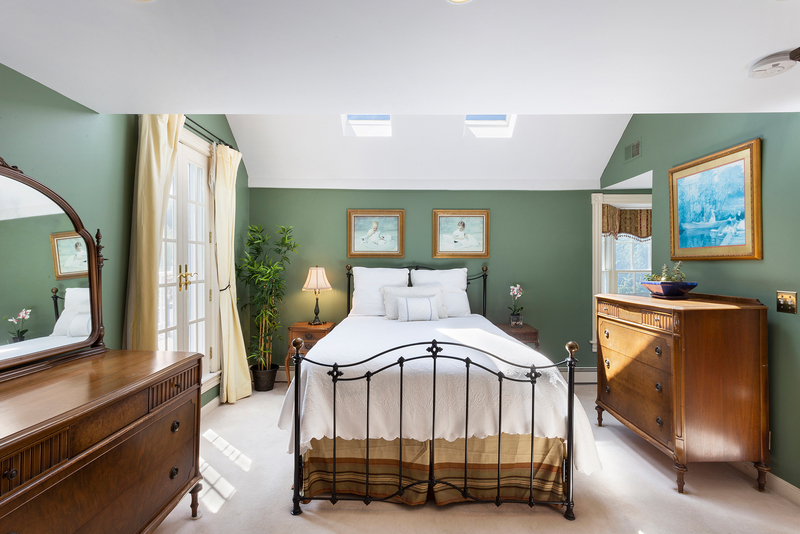 Two additional bedrooms and a full bath are also on the same level as the master bedroom suite. 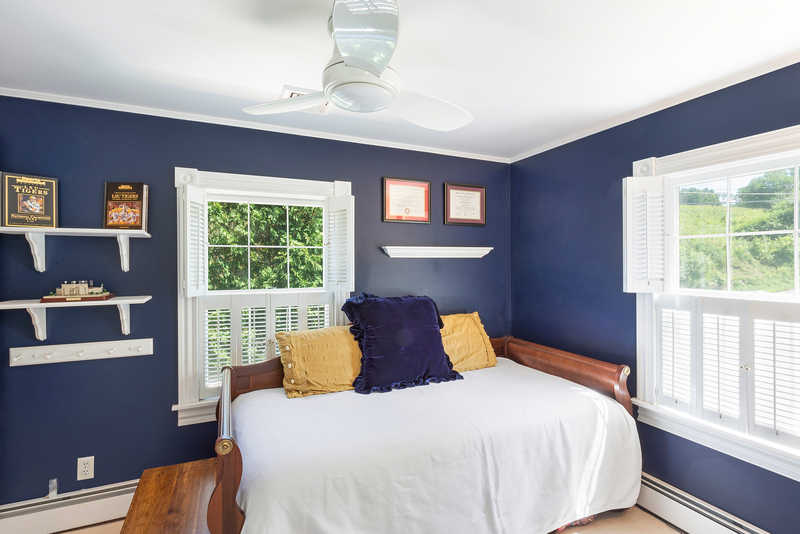 One bedroom has two large windows and two large reach-in closets. 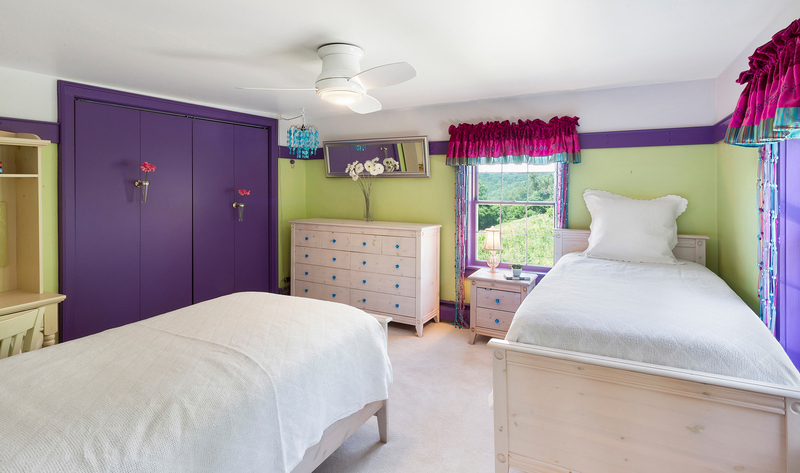 The other also has two windows, a large reach-in closet and two doors, one to the hallway and the other a pocket door to the master bedroom. 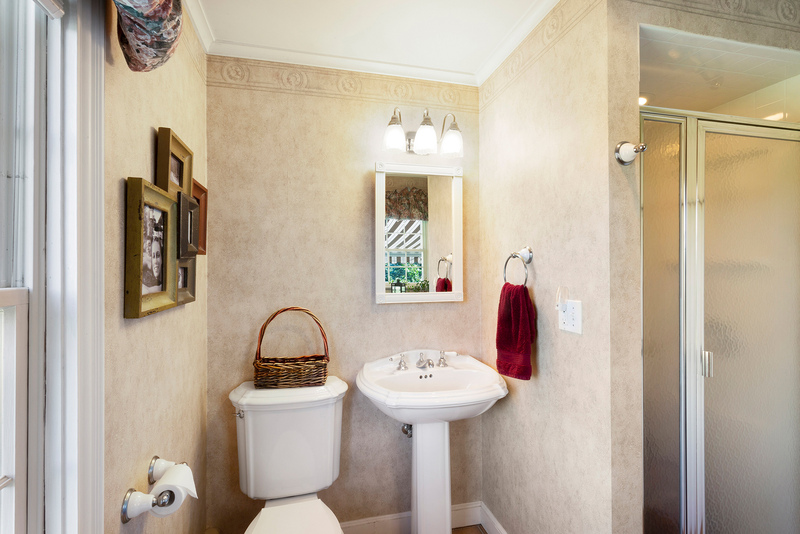 The hall bath features a deep soaking tub with shower and a tiled vanity with additional storage. 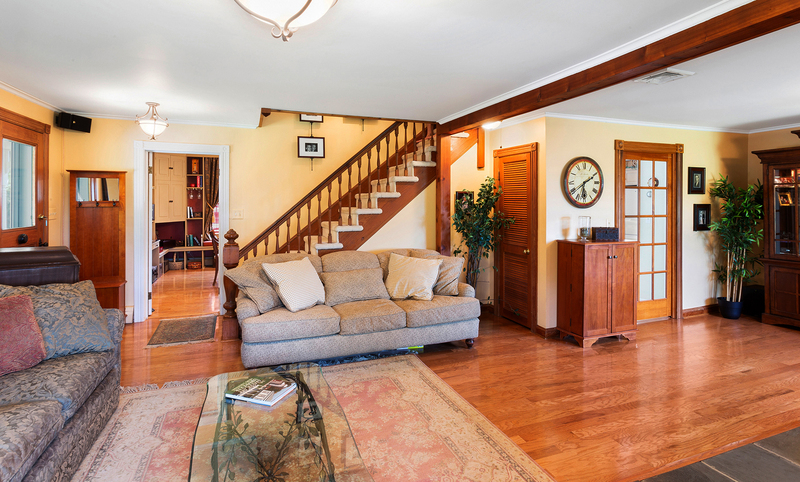 Another staircase leads to the upper level of the home which features the fourth bedroom. This bedroom has two deep window seats with storage underneath, glass shelving, storage nooks on either side of the bed, one perfect for housing office/entertainment equipment and a reach in closet. 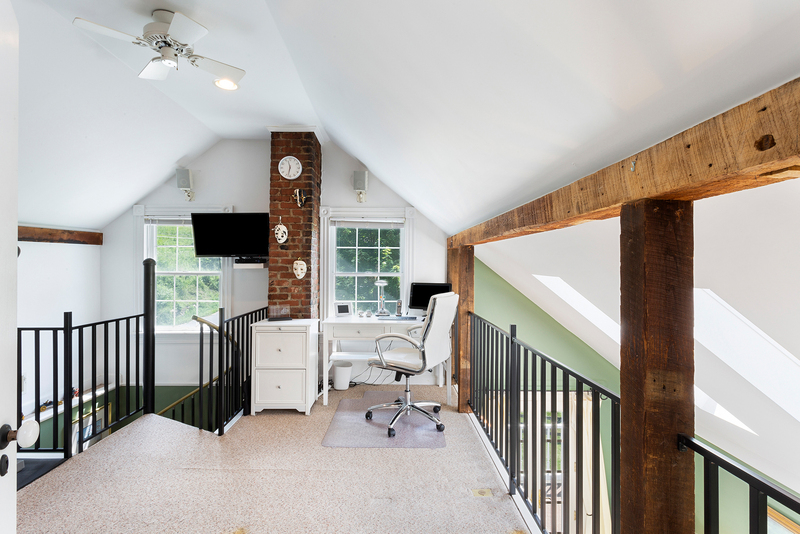 The loft can also be accessed from this level. Systems of the home include updated 200 amp electrical including an emergency power transfer switch and a portable backup generator, a newer oil-fired furnace for hot water baseboard heat, central air conditioning, private sewer, well water, carbon monoxide detectors, smoke detectors, and a fire extinguisher. The 2 car detached garage has a new roof, new foundation, automatic door openers, additional storage and a kennel underneath. 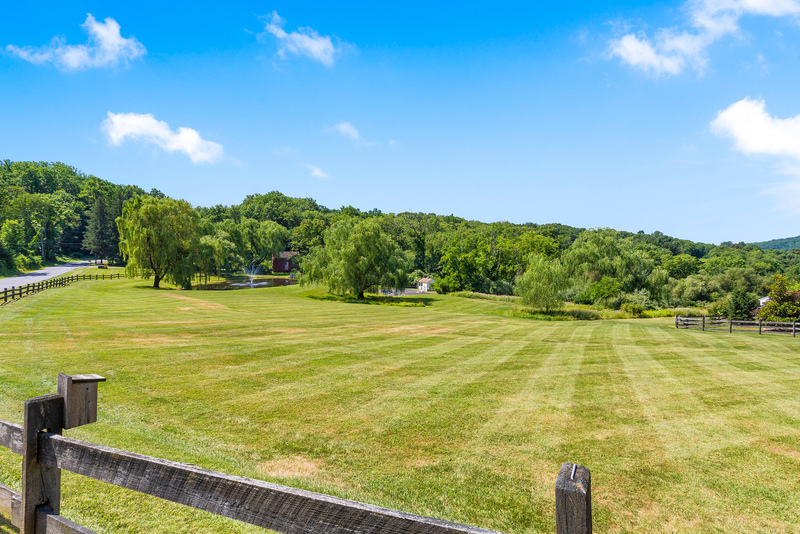 The exterior features of the home are very special – there are amazing views from every area of the property. 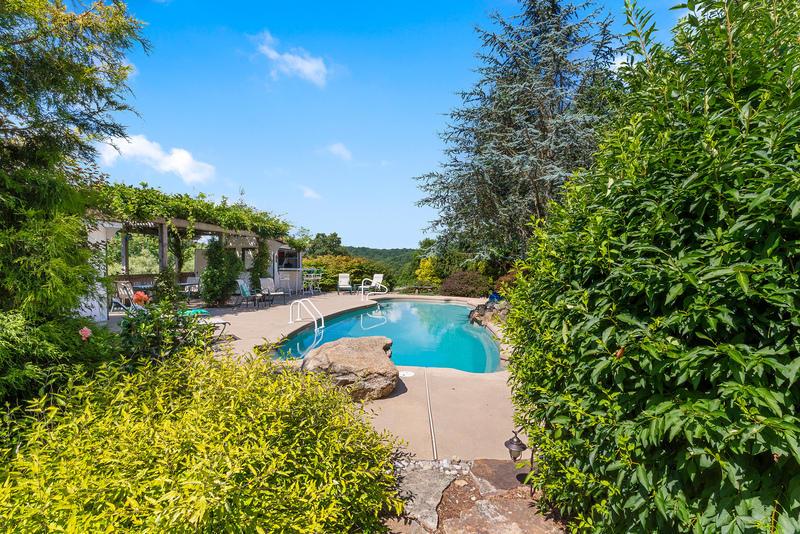 Mature gardens with perennials and specimen trees all of which were configured to maximize beauty while minimizing maintenance and upkeep requirements surround the pool area. A water feature also adds to the resort like feel of the backyard. 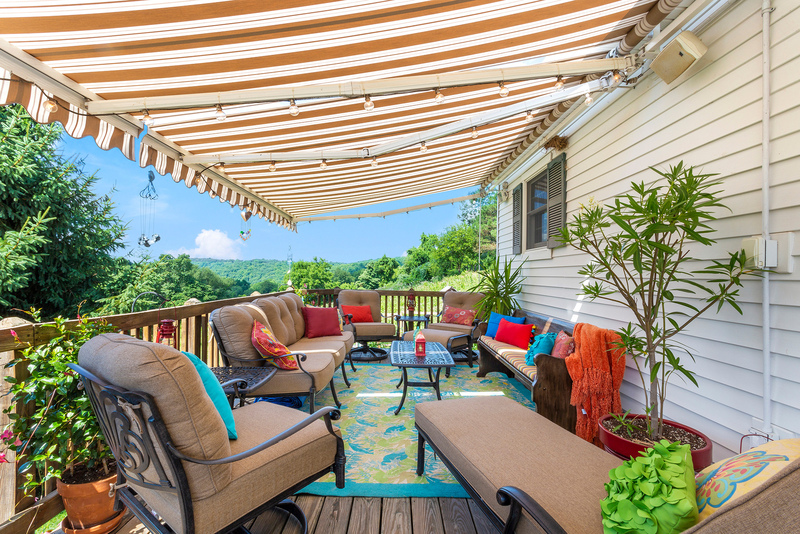 There is plenty of space for entertaining and seating around the pool deck. There are two pool houses, one with a changing room and one with a bar that has electricity and water. 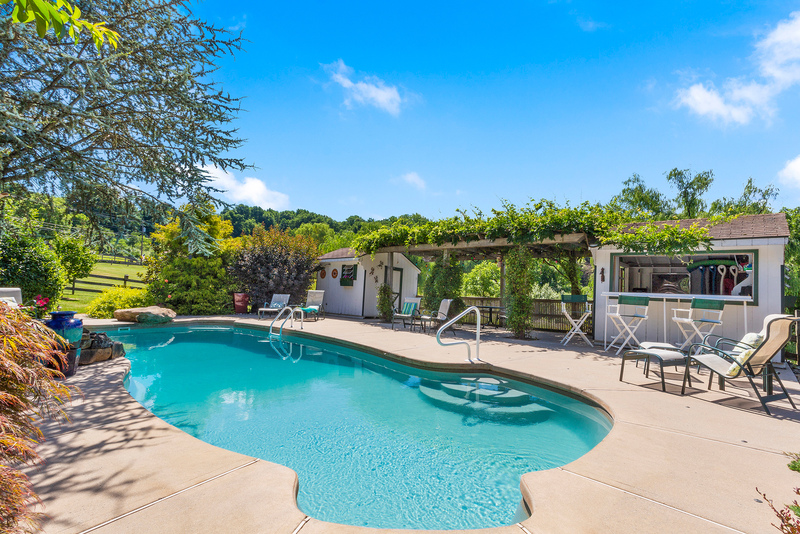 The pool is heated by a passive solar heater which is very efficient and adds no cost to the utility bills. 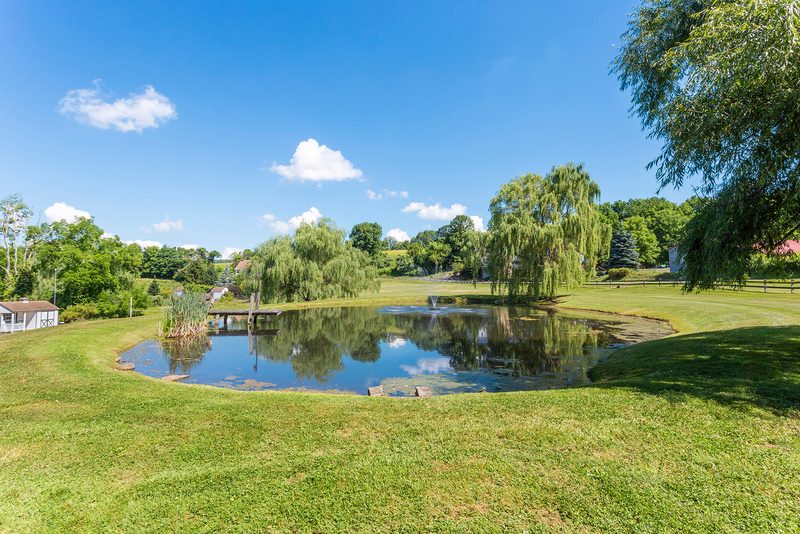 The property features large, level, open areas, walking paths, a pond with fountain and a dock. A treehouse is tucked away, perfect for playing. A basketball/volleyball court has lighting for those long games that last into the night. 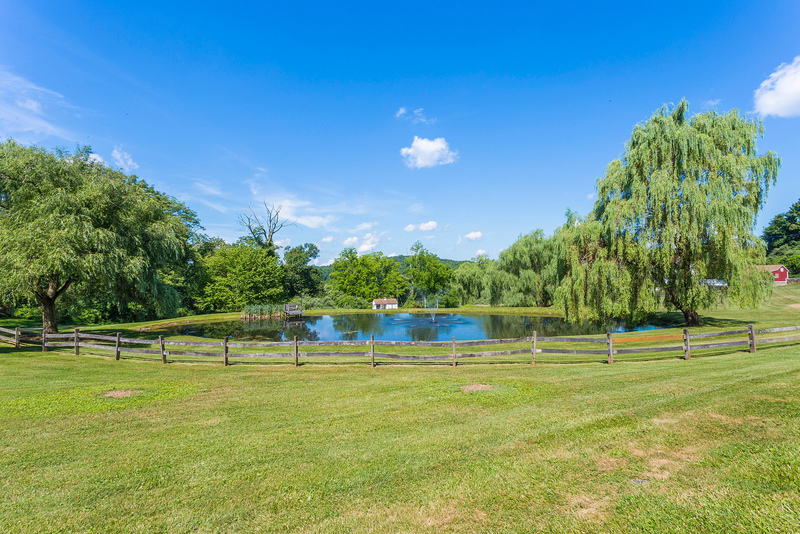 The property is located in a desirable section of Lebanon Township in Hunterdon County, near the historic villages of Califon and Oldwick, an area renowned for its natural beauty. It is convenient to private and public schools, shopping, golf courses, country clubs, commuter highways (Interstate 78 and 287), Trans Bridge Line buses and NJ Transit trains to New York City, and airports including Newark Liberty International Airport and smaller regional airports. It is served by Voorhees High School, designated as a Blue Ribbon School in 2015. 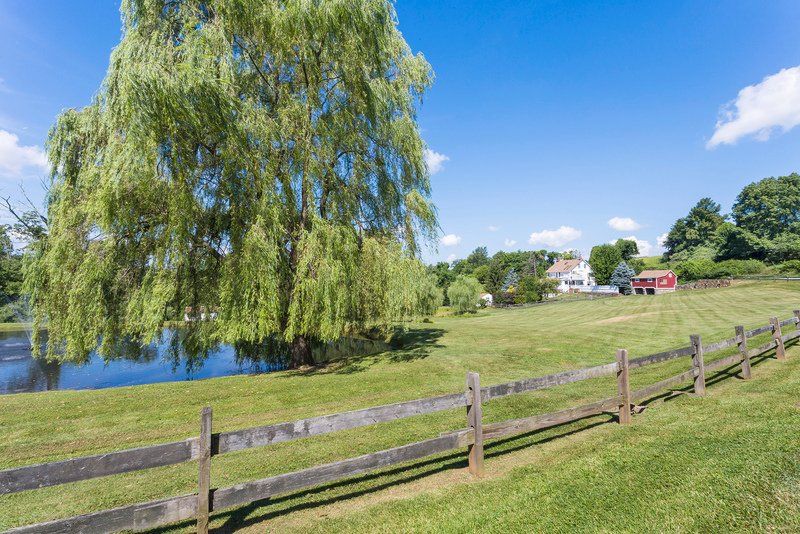 Read the leaf, realtors guide to Lebanon Township real estate here.